Planet earth has been called the perfect school and daily life is our classroom. Sometimes those pop quizzes can be brutal. We get bogged down in adulting, watching where are feet are going but not looking ahead to the future. Take a journey towards new insight and self discovery with Dan Millman, author of The Hidden School. Continuing his journey from Way of the Peaceful Warrior, Dan moves from Honolulu to the Mojave Desert, and from a bustling Asian city to a secluded forest, uncovering lessons of life hidden in plain sight. We each walk a different path to self discovery but nature should be a common element. A daily walk in nature changed this woman’s life. 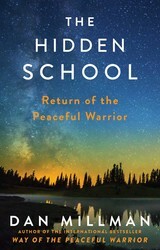 The Hidden School reveals a book within a book, a quest within a quest, and a bridge between worlds.In the long-awaited conclusion to the international bestselling Peaceful Warrior saga, Dan Millman takes readers on an epic spiritual quest across the world as he searches for the link between everyday life and transcendent possibility. Continuing his journey from Way of the Peaceful Warrior, Dan moves from Honolulu to the Mojave Desert, and from a bustling Asian city to a secluded forest, until he uncovers the mystery of The Hidden School. While traversing continents, he uncovers lessons of life hidden in plain sight—insights pointing the way to an inspired life in the eternal present. Along the way, you’ll encounter remarkable characters and brushes with mortality as you explore the nature of reality, the self, death, and finally, a secret as ancient as the roots of this world. 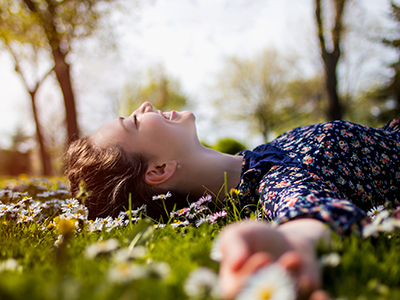 Awaken to the hidden powers of paradox, humor, and change. Discover a vision that may forever change your perspectives about life’s promise and potential. Emily Lyman has a penchant for organization and ruthlessly keeps only those things that bring her joy. Her life goals are to travel always, read everything, and perfect the selfie. Because let's be honest, posing for a selfie is really the most awkward feeling one can have while taking a photo.